Employees are the foundation of a rapidly growing company. For a part, they assume the responsibilities of about 70% of the business. But assuming that an employee is always active, productive, helpful, and useful day in day out is not quite a good way to do business. You will need to spend the time, energy, and resources to review the employees from time to time, to make sure that they are still the same active and productive employees you hired a fee months or years back. Here are few documents that can help you with the review process. 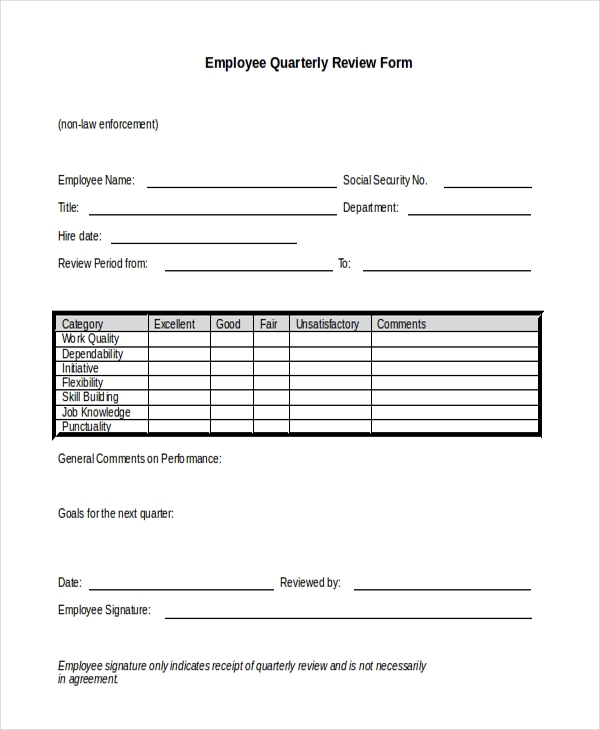 You may also see Employee Review Forms. This is a free template. You can download with a single click of a button by clicking the link below. The template is ready for print. There is no need to make any design adjustments. Some companies review the performance of their employees every year. If your business works in a similar way, this is the best sample file to download and use for employee reviews. The first l ninety days of an employee’s life in your company is always crucial. This is a testing time for your company. It means you have to review the workers from time to time to make sure they are effective. 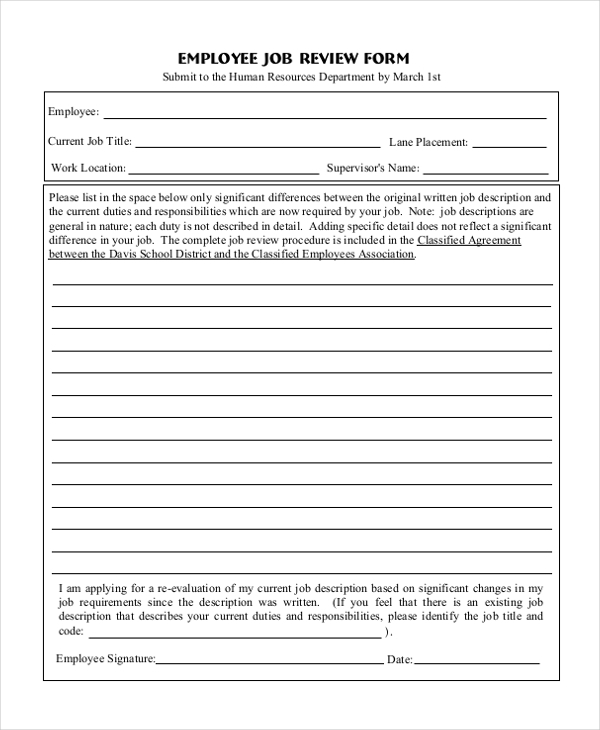 Use the form below for the job. It is easy to do an employee self-review. 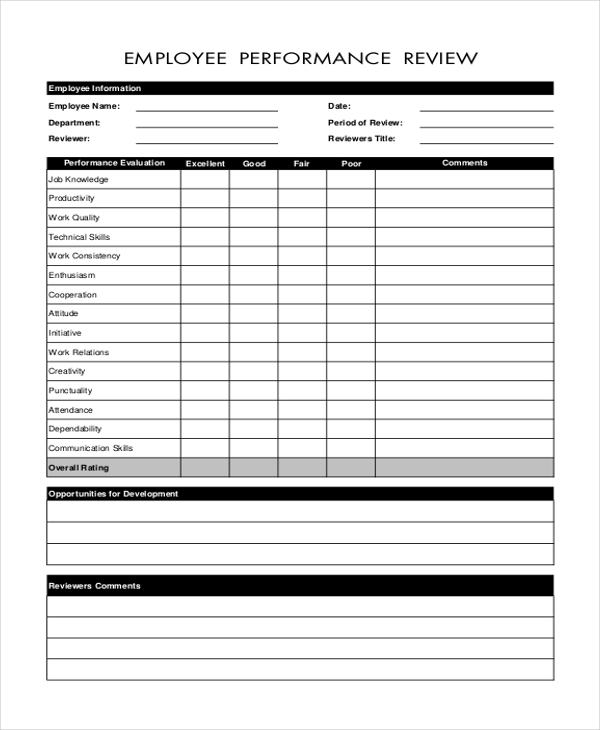 What you need to do is to download this sample form, and then use it to conduct what is known as the self-analysis of an employee at the company. By looking at the records of an employee’s performance in future, you can determine whether they are more productive and effective in their department or otherwise. 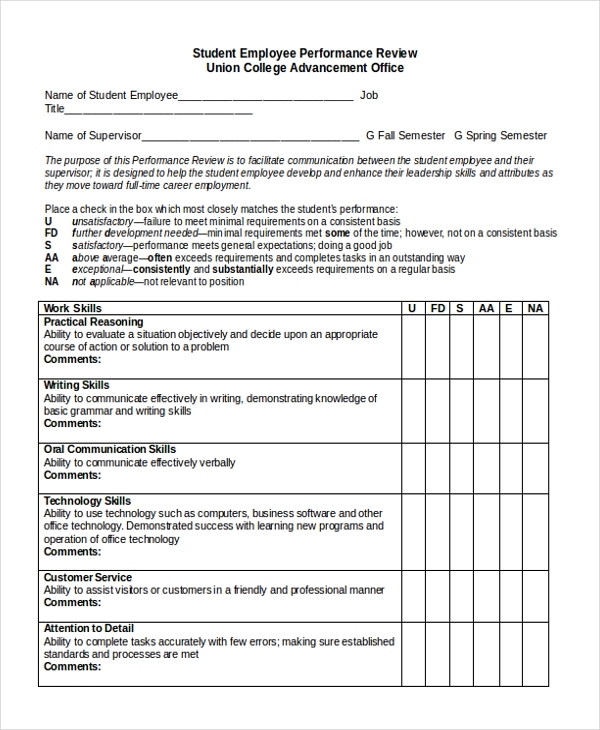 Use the following sample template for the review. Does your company prefer assessing employees after every three months? If so, this would be the best tool to use. Simply download the template by clicking the download link below. How has an employee performed lately? Have they worked according to the expectations if your company? 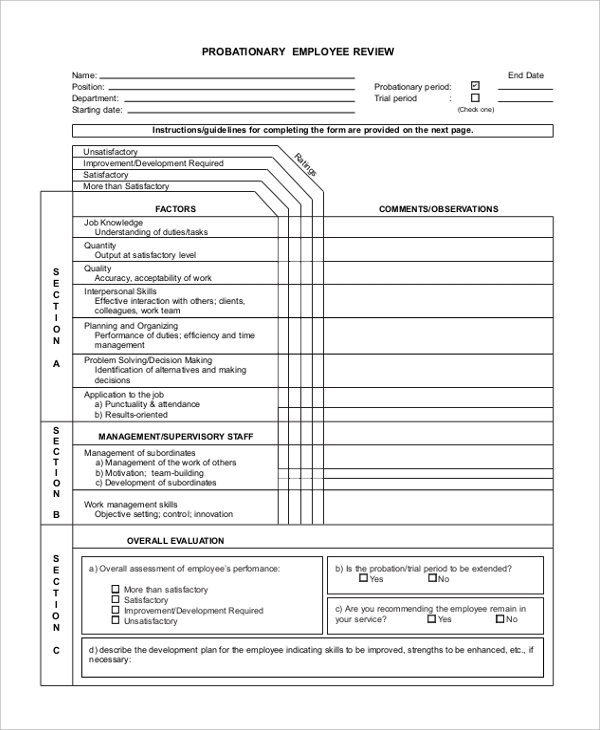 The best way to answer this question is to use this form to conduct an analysis. An employee in probation must be reviewed from time to time. At the end of the day, you need to make sure that they are the right person that you can depend on. Use this sample file for review. 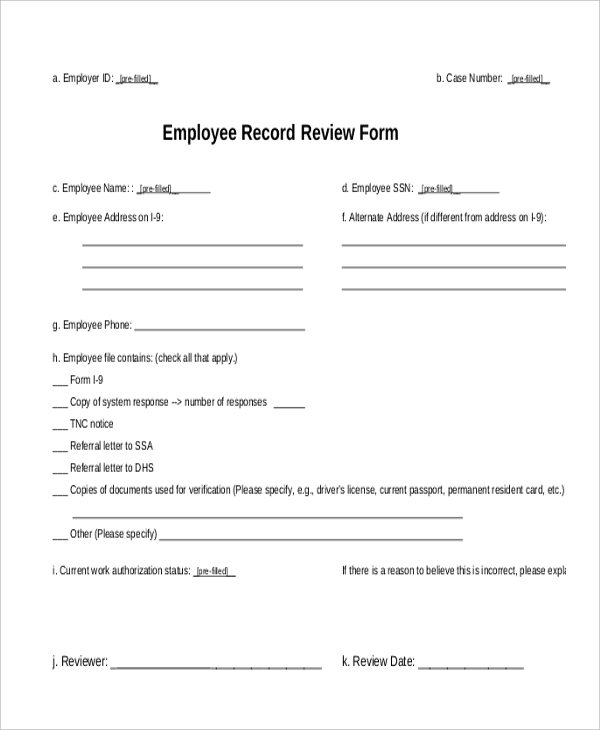 If you are looking for a review form that you can download and use without having to worry about creating a design from scratch, you should download and use this same form template. If you hired a student to work in your company for a part-time basis, it may be a good idea to evaluate how effective they have been for the last three months. You can use this sample file to do the evaluation. The review process is not a one-hour task. It will cost you a lot of your time, but at the end of the day, it will be worth it. Remember, the best thing about spending enough time to review employees is that it can help you determine whether your company employed the right talents. Moreover, the process will help you determine what areas your employees need to improve on as far as their work in the company is concerned. 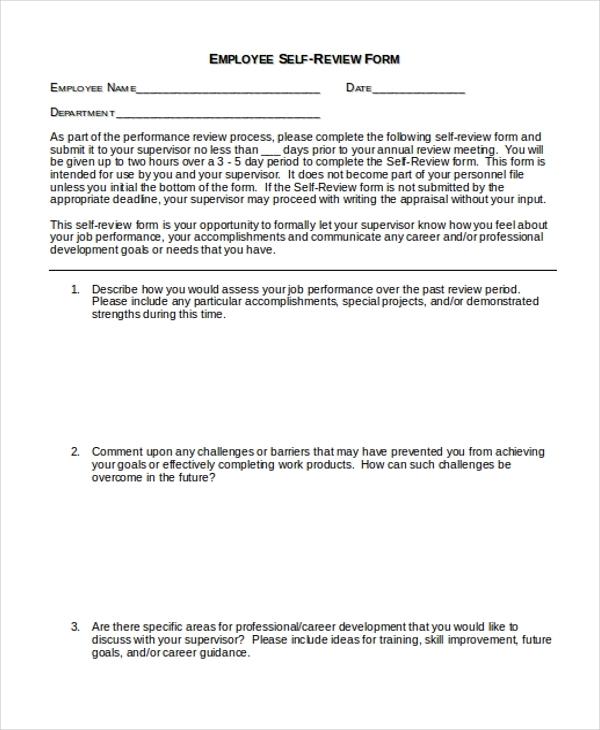 You may also see Employee Feedback Forms. Because there are many forms on this list, it is important to remember that what you choose to use depends on the frequency of using the document. Of course, every sample file allows you to do more less the same thing. However, they have time difference in the terms of review period, so you want to choose a sample file that will work best for your needs. 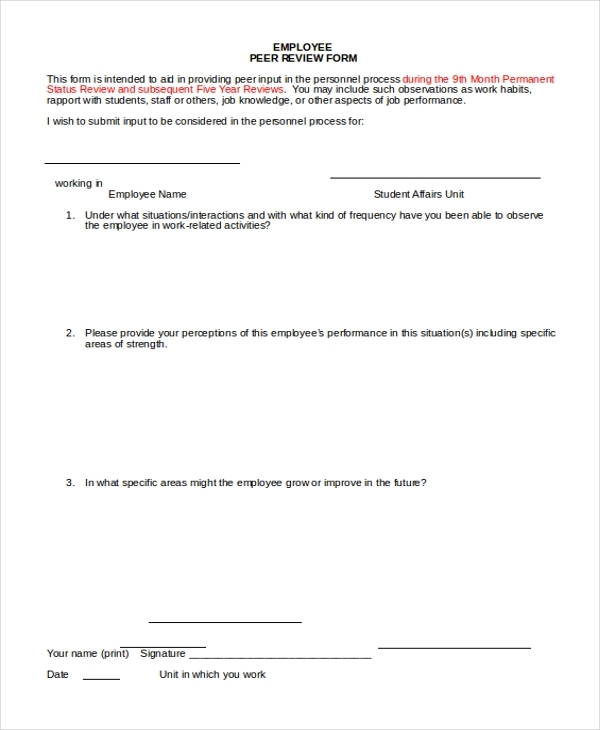 You can also see Employee Evaluation Forms. You need to be sure that employees are adding value to your company. You need to make sure that your members of staff can run the business professionally. 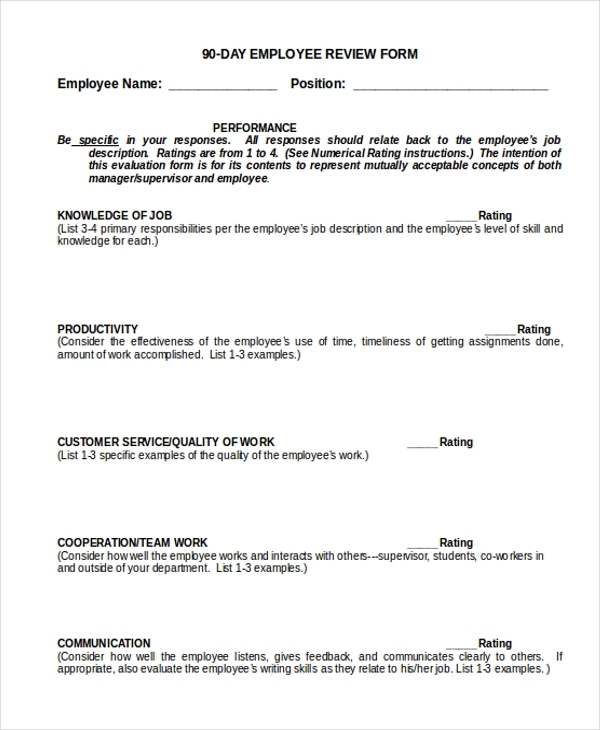 As such, it is always important to use Appraisal Review Forms to evaluate the performance of the employees in your company.